Item number Af511 from the MOA: University of British Columbia. 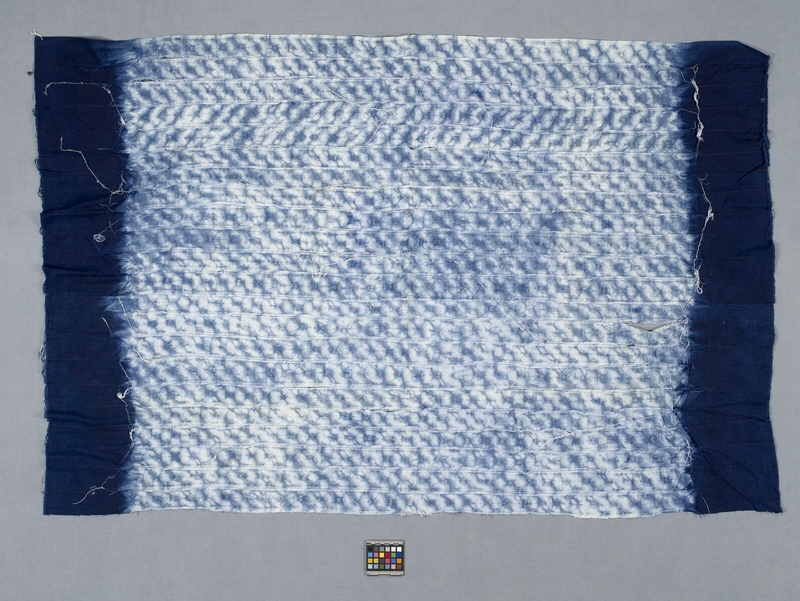 Cloth composed of 22 strips of fabric sewn together and resist-dyed with solid indigo borders on each end and a mottled blue and white pattern. There is a 0.7 cm fringe on each end. The De Wreede collection was collected over a 2 year period in which the De Wreede's were mostly in Sierra Leone, and partly in Nigeria. Resist-dyed indigo cloth. The technique was developed in Senegal, in Southern Nigeria among the Yoruba, and in the Sudan among the Hausa. 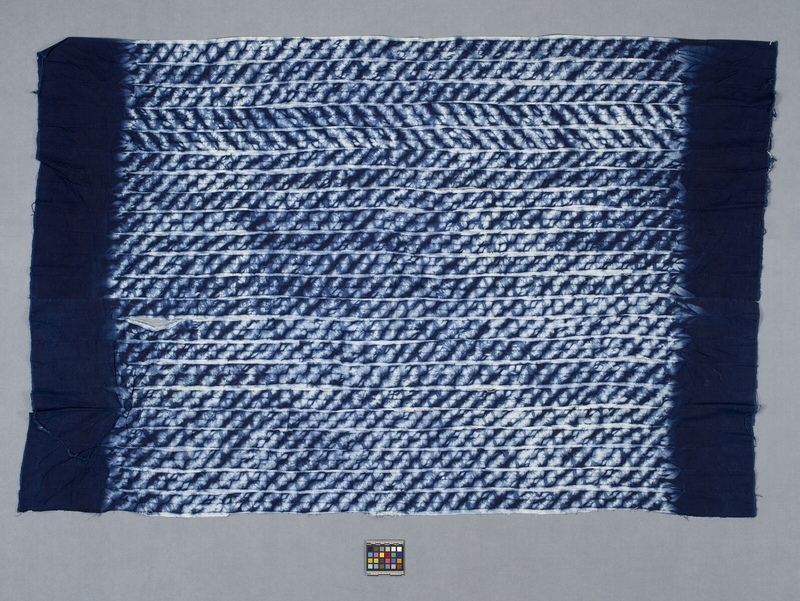 This cloth may be an imitation of cloths made from narrow strips which are pleated, selvedge to selvedge. The pattern results from dyeing the pleated cloth.